Where humans go, ants will follow. A new study of invasive ant species uses historical records to chart their spread across the world, reports Smithsonian Magazine. The researchers found that ants moved in waves: the first came after the industrial revolution and the second followed World War II and continues today. 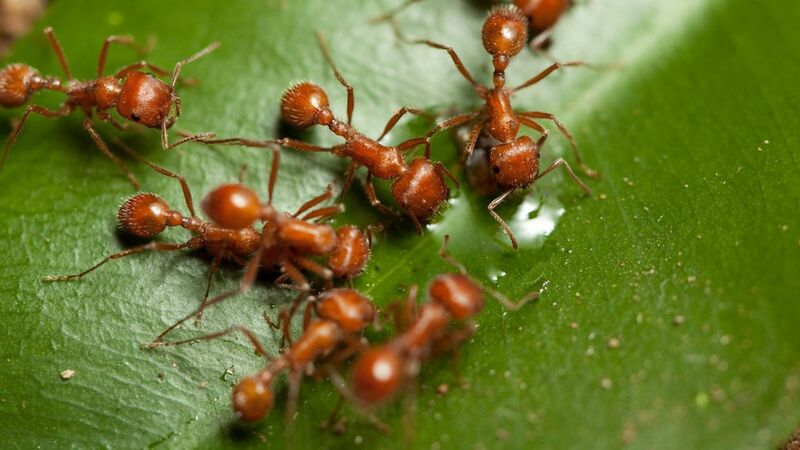 Species like painful fire ants have crossed oceans and continents to colonize new lands. "Humans have left a fingerprint on the distribution of these species," Cléo Bertelsmeier, one of the study authors, tells Smithsonian. Why it matters: Invasive ants can pose major threats to local ecosystems, wrecking insect biodiversity and even killing ground-dwelling animals. Scientists hope that by understanding what helped ants spread in the past, they can prevent future invasions. How they did it: Bertelsmeier used public databases to identify 241 invasive ant species, and examined what life-history traits they had in common. She was able to find enough historical data to chart the spread of 36 of those species. The researchers also identified factors that made some ants more likely to gain a foothold in their new environment. Smaller ant species with multiple queens were tended to be successful, as were ants that thrived in areas that were disturbed by humans.